It’s time for you to try something new! Our meetings are on the first Thursday of the month, at Frodsham Community Centre, at 19:30. Ruth Dickenson, Pam Fraser, Sharon Greenwood, June Howard, Iris Keating, Elizabeth Wilson, Sarah Wilson. Monthly meetings are held at Frodsham Community Centre on the first Thursday of the month at 7.30pm. Members pay £1 for refreshments and Cheshire News. There is a raffle and competition stall. 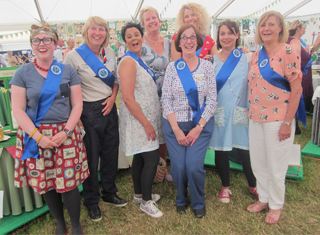 Visitors – considering becoming a WI member? Why not try us out. You are welcome to attend up to 3 meetings to decide if you would like to join us. Group Meetings are held in Spring and Autumn. Book Group: second Thursday of the month. Craft Group: alternate Tuesday afternoons. Sports: Bowls Monday mornings in summer, also golf and darts. Trips and outings are as arranged throughout the year.